Fashion and sewing, have been far from the mind (thank you kind readers for your words of support) however, with a recent house move, I must admit I have been dabbling with a little second-hand shopping, mostly for furniture and house hold items. 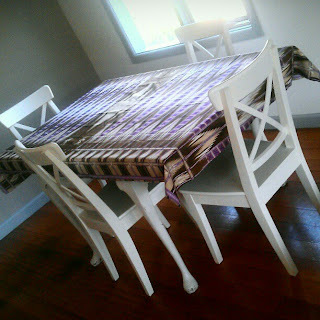 ..intended to make a dress, but instead makes a pretty tablecloth, yes? As well as frequenting antique furniture and opportunity shops, I’ve been taking part in a little bidding on eBay. 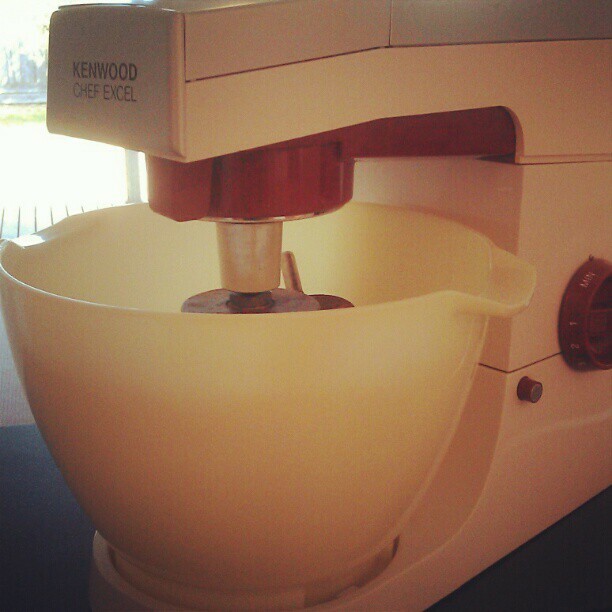 .. a 1970's Kenwood Chef Mixer purchased from eBay, these machines were made to last! Tip: Bid during the day. Most eBay auctions last for 7 days duration, and it is known that the highest web traffic occurs on a Sunday evening. What this means is many eBay auction’s start and end on a Sunday evening. It is always good to know when the item you are bidding on expires, if it does finish during the highest web traffic time of the week, chances are you’ll be bidding against more people than perhaps you would be at other times of the day. Outbidding in this instance, is common. It might not always viable, but if you can find items which expire during the day, or even the middle of the night, you’ll be unlikely to have as much competition as you would do on a Sunday evening. Some of my best purchases have been items which expire approximately 9am or 10am on a week day. Can you see how the letter T is missed from Laurent? Such an easy mistake, but one that may not succeed in the best sale result. Try it out on names you know, and see what you might find. Tip: Bid on brands within other country specific eBay sites. Despite living in Australia, I’ve bid and won auctions on other eBay country specific sites. 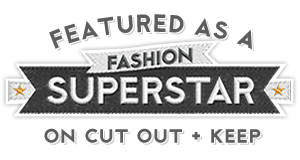 For example, clothing from upscale Australian retail brand clothing, not found in countries outside of Australia and New Zealand, can be found second-hand on eBay US and eBay UK. Most of the time, they’ll be listed by Australian ex-pats living abroad, clearing their wardrobes of unwanted garments, that not many customers will be looking for in the specific country of auction listing. 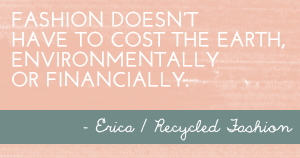 I am sure the same would go for North American, Asian or European upscale or lesser known recycled clothing brands found on eBay Australia. Another reason I tend to browse eBay.co.uk or eBay.com sites for second-hand clothing, is the volume of goods available. Australia’s population of approximately 22million, compared with 62million in the United Kingdom, or 311million in the United States, means they’ll be more people registered on other eBay sites, a larger volume of people clearing their wardrobes, and therefore much more clothing to browse! I don’t buy retail new clothing anymore, and haven’t for 3 going on 4 years now. This does not mean I don’t like to see what's going on in high street fashion, to see what I might like to replicate second-hand. Occasionally, if I find an item of clothing I really, really like, I’ll take note of the brand and style, go home and search for it on eBay. There have been times I’ve been lucky enough to find the exact piece I’m looking, that someone else didn’t want. A rarity yes, but worth a try. You’ll notice on my search results on completed listings for ‘Gucci Dress’ below, that the auction listing with the price listed in green sold for US$202.50, the auction listing $99 in red, did not sell. Look out for this, you’ll get an idea of what sort of price you might pay. It may not always be feasible to achieve the above eBay tips in your own instances, but I hope you’ve taken away a few tricks that you could try out for yourselves next time you choose to second-hand shop on eBay, or other similar auction sites. Readers, do you have any additional tips to share when buying second-hand clothing on eBay? Feel free to comment below. I'd also recommend searching locally where you can opt on the left to only to see items within 10km of your postcode, perfect for furniture and toys where you don't want to be paying for additional postage. Many clothing sellers are also happy for pick ups to be arranged. These are cool ideas to buy second hand goods on ebay, I haven’t thought about these before.